The Independent Pricing and Regulatory Tribunal of NSW (IPART) determines the maximum prices for the monopoly water management services provided by the Water Administration Ministerial Corporation (WAMC). Functions relating to the delivery of water management services in NSW are the responsibility of both the department and WaterNSW. 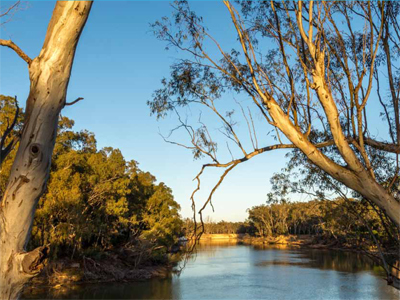 The cost of delivering the management of the state’s freshwater resources incurred by the department and WaterNSW is partly recovered through the water management charges. The part that is recoverable is defined as monopoly services. maintaining the systems that allow all of the above functions to be delivered. These services are essential to protect the health of the state's freshwater resources and ecosystems and to ensure water can be made available to water users and the environment on a timely and sustainable basis. Recover the cost of resource management activities, predominantly undertaken to manage the impacts of water extraction. Separate charges apply to each water source and river valley or groundwater region, reflecting the different cost structures for the water management activities undertaken in these systems. Requested by licence holders on their licences and approvals, as well as applications for new licences and approvals, recover the cost of processing these transactions. They apply on a statewide basis because the cost of processing transactions is the same across all valleys. Recovers the cost of reading and servicing meters for water extraction by licence holders and also apply on a statewide basis. The current IPART determination started on 1 July 2016 and it will end on 30 June 2020. Visit the report on setting the current prices. Details of the current fees and charges can be found at WaterNSW. The Independent Pricing and Regulatory Tribunal Act 1992 requires IPART to set maximum charges for WAMC's monopoly water management services. The department and WaterNSW, delivers these services on behalf of the corporation. The Act also requires the Minister for Land and Water to seek the Treasurer's approval to waive or reduce charges below the maximum charge. The Water Management Act 2000 makes provision for the Minister to impose fees and charges, noting that they cannot exceed a relevant IPART determination. Water charge rules in the Commonwealth Water Act 2007 give the Australian Competition and Consumer Commission responsibility for reporting on, monitoring and publishing information on charges – but not setting charges – for water planning and management services in the Murray-Darling Basin, including the department’s water management services in NSW that fall within the Basin (all inland valleys). These arrangements help ensure that processes for setting and implementing charges are adequately disclosed, are transparent and adhere to the requirements of relevant legislation. In 2015/16, IPART determined the maximum prices for the monopoly water management services provided by the WAMC. The department and WaterNSW, currently deliver services on behalf of WAMC. These charges recover a share of the costs incurred in providing these services to customers. The department’s pricing submission, the IPART report and their determination are detailed below. Learn about the changes which will ensure that we have an equitable and transparent approach to the management of our water for future generations.